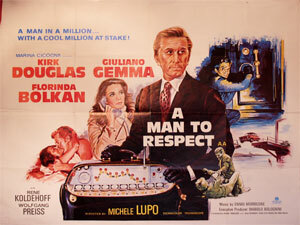 Details This Italian/West German production attracted Kirk Douglas to Europe to star in a heist movie inspired by "Rififi". Kirk Douglas is pictured tackling a sophisticated computerised safe. Music is by Ennio Morricone.